The unmanoeuvrability of death has taken you to a lane where no raindrop will evaporate in vain. No flower will wither in pain. No bird will sing out of season. This is where the tangling shadows of the banyan trees whisper joyously. This is where the windowed walls let steaks of sunlight flow in ever so rhythmically. If this is what they call it heaven, this is where you belong. To some, your demise is deeply tragic—the loss of that quintessential something. To some others, blissfully analgesic. The chasm between heart to heart is so absurdly narrow for those who want to cross it. So unfathomably deep and wide for those who don’t. What the shrivelled hearts will not know is that you tried to see the human beyond all that hatred, that heartlessness, that inhumanity. At a moment when it is difficult to separate the fragrance of the sandalwood flowers placed on your chest from the stinging smell of the unholy crackers, in your silence lay many questions unanswered. 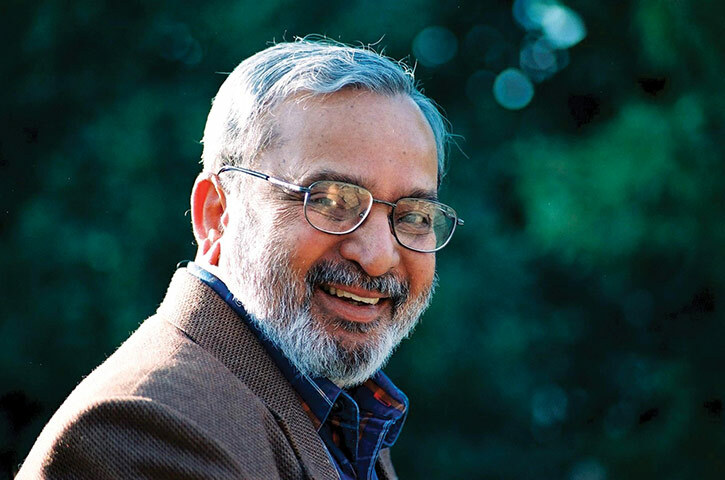 This entry was posted in Free Flowing and tagged U R Ananthamurthy, URA. Bookmark the permalink.